Nancy Howland Walker (Executive Director) is a SAG/AFTRA actor, writer, teacher, and trainer. She has appeared in hundreds of commercials, videos and live industrials, and has been performing, teaching, directing, and producing improv since 1989. She has written and performed comedy shows for businesses all over the country, and has run casting sessions on three different continents. Nancy has done corporate trainings for major corporations across the country, including McDonalds, Oxford Instruments, and Mars Wrigley. 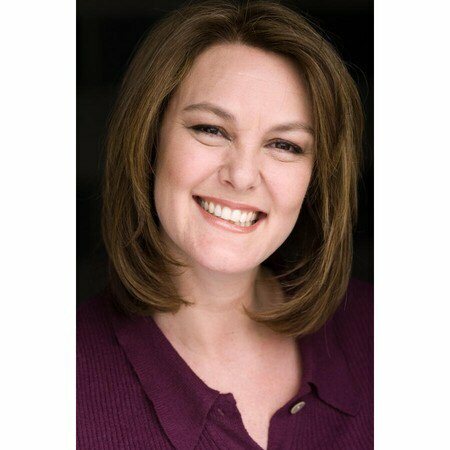 Nancy currently performs and teaches improv for Celebrity Cruise Lines all over the globe. She is author of Instant Songwriting: Musical Improv from Dunce to Diva available on Amazon. Nancy’s specialty is improvisational theater – she has vast experience in creating, directing and performing short-form, long-form, extreme long-form, competitive and musical improv. In Boston she was the Artistic Director of ImprovBoston (New England’s longest running comedy troupe) and TheatreSports of Massachusetts. In Chicago, she performed with dozens of different improv groups and shows. Nancy was head of The Free Associates and ImprovBoston improv schools, and has taught at Second City, Players Workshop of the Second City, at festivals and for groups all across the world. Nancy has taught musical improv for professional and student improvisational groups, at schools from elementary level to collegiate, and festivals all over the world since 1993. Her classes are often packed and are always well-received. Nancy Howland Walker has been an entrepreneur since the age of 16 when she started managing and creating/operating businesses, such as Nantucket Sail Boat Rental and Nantucket Harbor Launch. No matter what business or group Nancy has been involved with, she has quickly become a leader, using her easy-going, humorous and highly organized style. She brings all these qualities to her current position as Executive Director of Chicago Improv Associates. Marsha ll Stern (Artistic Director) is a multi-talented and versatile man, having worked in the fields of entertainment, education and psychology. He currently works for Celebrity Cruise Lines as an improv performer and a speaker on Buddhism for their Asian itineraries. You can sign up for his online course Zen Buddhism 101: Awaken to your Natural Joy on Udemy. He is also the author of Meet the Buddha Kill the Buddha available on Amazon. Marshall was nicknamed “The Godfather of Nashville Improv” by Martin Brady , the theater critic of the Nashville Scene. He earned this name by single handedly creating college level courses which he taught at Nashville Tech, creating a talent pool from which he shaped award winning troupes and shows. 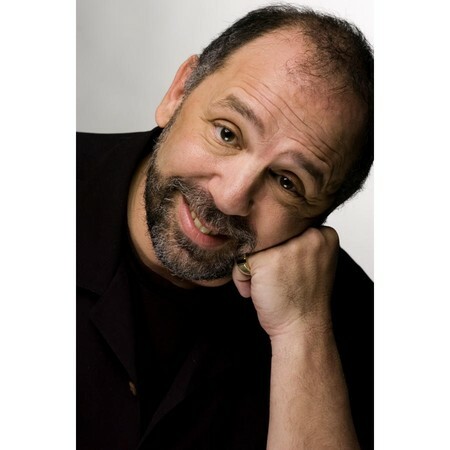 He received the Ruth Sweet Award for excellence in theater education which allowed him to study at the Players Workshop of the Second City (of which he eventually became the director.) His troupe One Hand Clapping was one of three Improv troupes from around the country to be the first invited to perform at the prestigious Humana Festival at the Actor’s Theatre of Louisville. The same troupe was also voted the Best Performing Arts Troupe by a Nashville Scene Readers poll, beating out the professional Tennessee Repertory Company and the Nashville Symphony. Marshall Stern produced, directed, and performed in the Music City production of MUSICAL! the musical, where he was also the Artistic Director of One Hand Clapping. As a talented songwriter/musician, Marshall worked as a proefessional songwriter contracted by a subsidiary of Warner Chappel in Nashville. Many of Marshall ‘s songs appear on albums by Nashville recording artists and on other albums across the country and intrnationally. Marshall distinguished himself in Chicago as a teacher and Director for Players Workshop of the Second City . He performed in the innovative “Awake In The Night” – the country’s first two-act improvised dramatic play which ran at the Playground in the fall of 2002. Marshall has also achieved critical acclaim in legitimate theater in such diverse roles as Madame Pernelle in Tartuffe and Sgt. Toomey in Biloxi Blues and in Chicago in 2005 as Groucho in “Groucho; A Life In Revue”. Marshall worked as Artistic Director for The Comedy Shrine in Naperville during it’s first year in 2006 setting up the new cast and creating the shows for the fledgling theater. He is currently Artistic Director of Chicago Improv Associates and part of the duo that produces the Zenprov podcast. Marshall minored in Psychology at SUNY/Stoney Brook and attended Graduate School in the field of Transpersonal Psychology at John F. Kennedy University in California . He has been involved in training Social Work students since the age of 14 where he worked under the supervision of Mel Goldstein L.C.S.W. at Adelphi University and worked for many years training peer counselors and working at crisis intervention centers around the US .